The Merced River Gorge is a true gem, a beautiful canyon running close to Yosemite National Park’s entrance, alive with wildflowers, rocky outcroppings, incredible scenery and some exciting outdoor recreation. The Merced River Gorge lies along the Merced River within Yosemite National Park, a canyon that provides views of waterfalls, high cliffs and in the spring, amazing vistas of wildflowers blooming in all directions. The Merced River flows from within Yosemite, along California Highway 140, and out the west entrance of the park. You can visit the Merced River Gorge where the Merced River turns south and where Cascade Creek merges with the river. You can see the canyon from Big Oak Flat Road, viewing it by looking towards Bridalveil Fall. The best time to visit the Merced River Gorge is in the spring when the flowers are blooming, but anytime spring through fall will provide you with marvelous views. 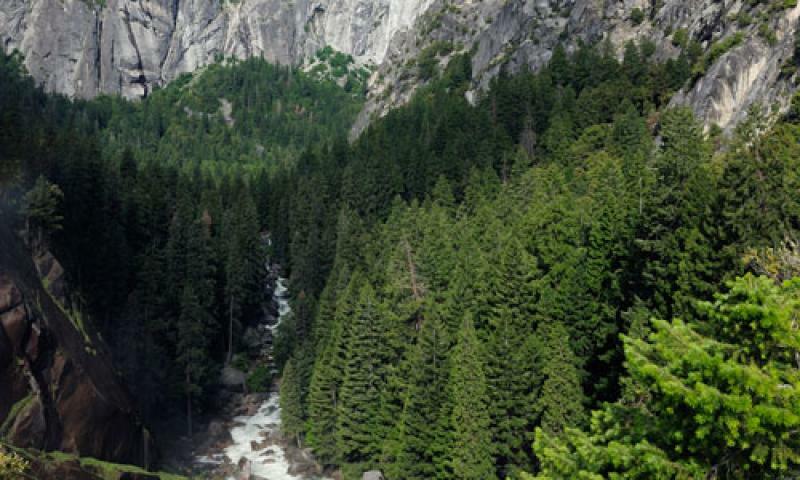 The Merced River Gorge is best seen by hiking into the backcountry. One nearby trail that is a popular hike is the one to Cascade Creek from Tamarack Campground. This 5-mile out-and-back trek takes you along an abandoned road, and through some lovely forests of fir, cedars and pines. The Merced River provides some amazing expert-only runs through some Class V whitewater in the spring. If you want calmer water through the Merced Gorge, later in the season the level drops so you can enjoy some Class III rapids. Around the Merced River Gorge in the spring, you’ll see billions of California poppies and other colorful wildflowers painting the landscape. The California poppy has colors ranging from yellow to a deep red-orange. They thrive in bright sunshine.